One of the big factors (along with the circumstances on the day) in whether your birth plan will be achieved is whether you have hired a care provider who specialises in the type of care necessary to achieve your goals. If you are looking to have a medically managed birth complete with elective induction and epidural then a homebirth midwife is probably not going to help you achieve that and if you are after an unhindered, intervention free, vaginal birth then a care provider with a 50% caesarean rate and 95% intervention rate is probably going to leave you feeling frustrated. So what steps should you go through when finding a care provider who is the right fit for you? The first step is to work out what sort of birth you want. Specifically, do you want a medically managed birth? Or do you want a physiological vaginal birth? Low intervention? High intervention? Continuity of care? Elective procedures or only if truly necessary? The answers to these questions will help you to determine which type of care provider might best help you achieve your goals. So, let’s say that you’ve decided that you would like a medically managed birth. The options likely to be the best fit for you are hiring a private obstetrician or going through the public hospital system seeing OBs along the way. If you would like elective procedures such as a maternal requested induction or caesarean (ie: with no medical or hospital policy indication) then you will be better off hiring a private OB as the public hospital is unlikely to offer these due to the increased risks and costs. 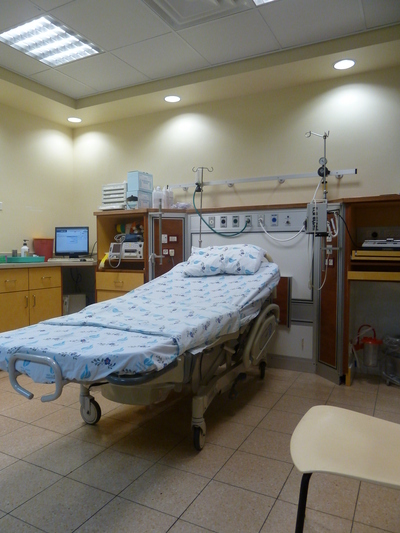 If you simply feel more comfortable having your care overseen by an OB (bearing in mind that usually midwives will attend you during labour – regardless of whether you are private or public – and the OB will simply come in to “catch” the baby or if there are complications) or feel that you really want medical pain relief immediately available then the public hospital system will likely be sufficient for your needs. As a doula I would HIGHLY recommend exploring your reasons for wishing to have medical care for your pregnancy, labour and birth and the risks and benefits of the interventions you are likely to be offered. Generally pregnancy and birth are a normal physiological process and adding intervention will often add risk for very little, if any, benefit. Your care provider should also be exploring your reasons for wanting a medically managed birth – they should be asking about your fears, hopes, goals, experiences and a birth plan – if not, then I would ask if you really want a care provider who isn’t interested in YOU, the one paying the bill and birthing the baby! If you wish to plan for a low intervention physiological birth then hiring a care provider who has a 95% intervention rate (the average for private OBs in Australia) will leave you feeling frustrated and potentially very disappointed. I speak with women a lot, some late in pregnancy, and they tell me that they are really hoping for a “natural” birth. They plan to labour at home as long as possible, don’t want VEs, don’t want additional monitoring, want to use water for pain relief and don’t want to birth on the bed. Then I ask them what their care provider thinks about this plan and how they will be supporting it. The response is often – “Oh I haven’t discussed it with him yet” or “He says I can have a natural birth so it’s all good”. Sometimes the response is “I’m too scared to tell him that this is what I want and I’ll just hope it all goes okay on the day”. If you haven’t discussed your birth goals with your care provider I would very strongly suggest that you do so as early as possible. It is never too early to start talking about your goals and how your care provider is going to help you achieve them – because that’s their job! They are hired by you to help you to achieve your birth goals. However, it’s not hugely unusual to hear stories of women who have been refused care from a private OB because they didn’t agree with the birth plan, so the sooner you talk to them the sooner you can make sure you are both on the same page. What’s your philosophy about birth? How do you define “natural” birth? What are your rates for caesarean and other interventions? VBAC rate? What percentage of caesarean’s performed are “elective”? What will happen if I decide not to follow one of your recommendations? How do you support women planning: an elective caesarean / early epidural / waterbirth / unhindered birth / physiological third stage etc? You can switch to a public hospital at any stage during your pregnancy. It is even possible to switch during labour! A public hospital has an obligation to take any client who rocks up at the front door. If your local private hospital has availability you may be able to switch to a private OB if their philosophy best matches what you are after. Hunt around for a local independent midwife to support you. You may wish to find one who can support you to labour at home and transfer to hospital for birth or one who can support you in a homebirth. I often see “hire a doula” as a suggestion for women who feel that their care provider is not supportive. It is really important to be clear on what a doula’s role is. She cannot speak on your behalf or advocate for you. She cannot tell you when you “should” go to hospital. In fact she cannot tell you what you “should” do at all – as that could be considered to be medical advice. A doula can help you to research your options and define your needs. A doula can help you formulate a birth plan. And while having a doula has been shown to decrease the probability of having a caesarean, a doula is just a coach – YOU are the one who needs to run the race. I do wonder if the reason women who have a doula have less probability of having a caesarean is because a doula will encourage you to explore your options and if she sees that you are very uncomfortable with your care provider she may (gently) ask if you’ve considered other options. So, perhaps women with a doula are more likely to be educated about birth and aware of their options, more likely to have a firm idea of their birth goals and more likely to seek out a care provider who will help them to achieve their goals. So the first step to choosing a care provider is to work out what sort of birth you want. Then find a care provider who will help facilitate that birth. Don’t find a care provider you “like” or who “seems like a nice person” and just hope they agree with your goals. Both you and your care provider should remember just who works for whom! And your journey to motherhood should be spent surrounded by people who support and love you and who truly believe that you are the most awesome, strong, capable mother in the world. But they supported me! - The risks of choosing a care provider simply because your friend felt supported by them. Gratitude challenge: Q is for Queenslander! Do you defrost things on the bench? What is your favourite way to eat pesto? A lot of people find that they leave the doctor's office feeling a little "let down"
What's growing in your vegie garden?